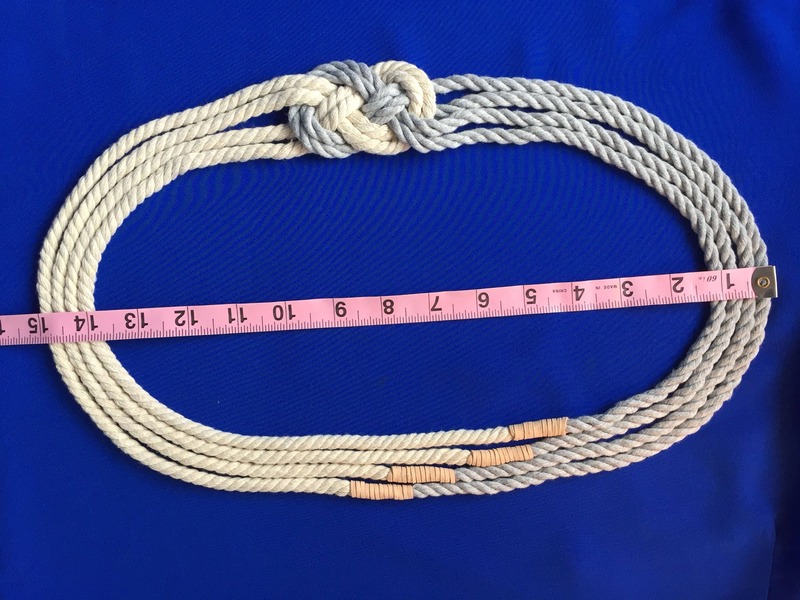 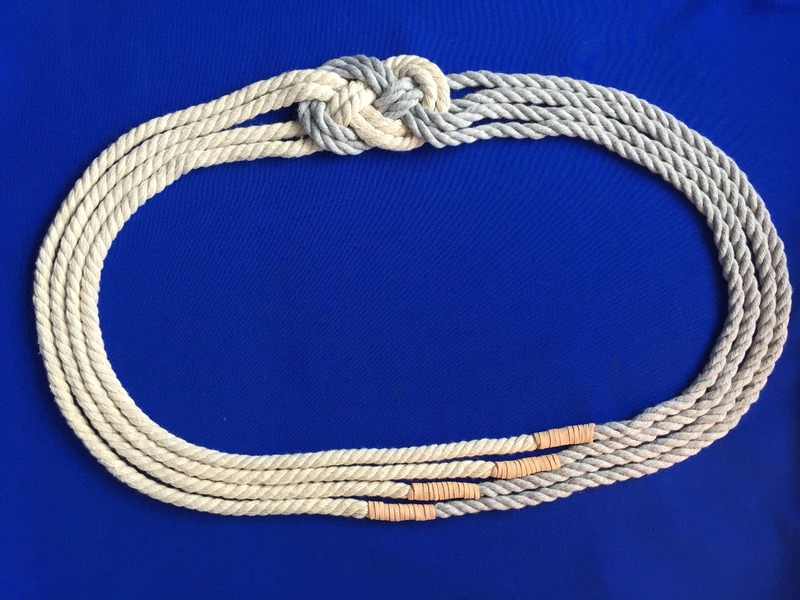 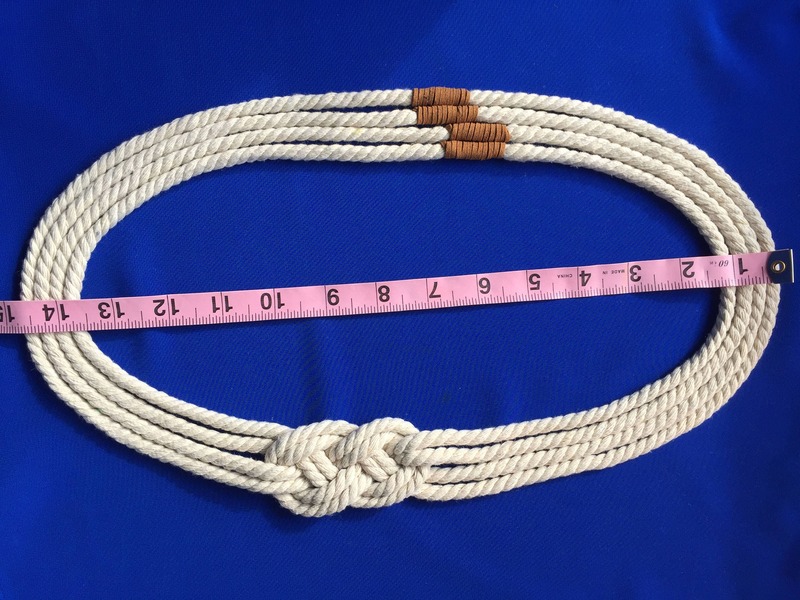 Offset carrick bend rope necklace with tied off ends. 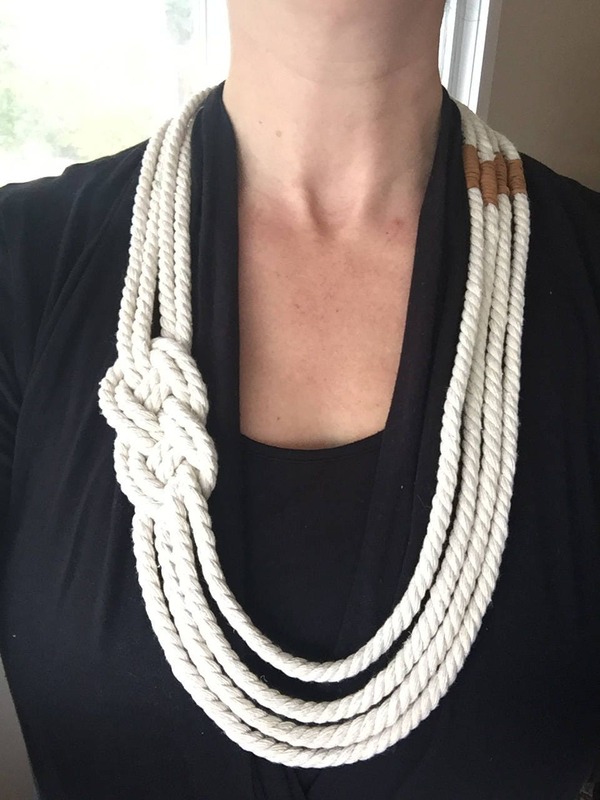 This neutral show stopper pictured is finished with a light brown, suede like rope to complete the neutral look of the necklace. 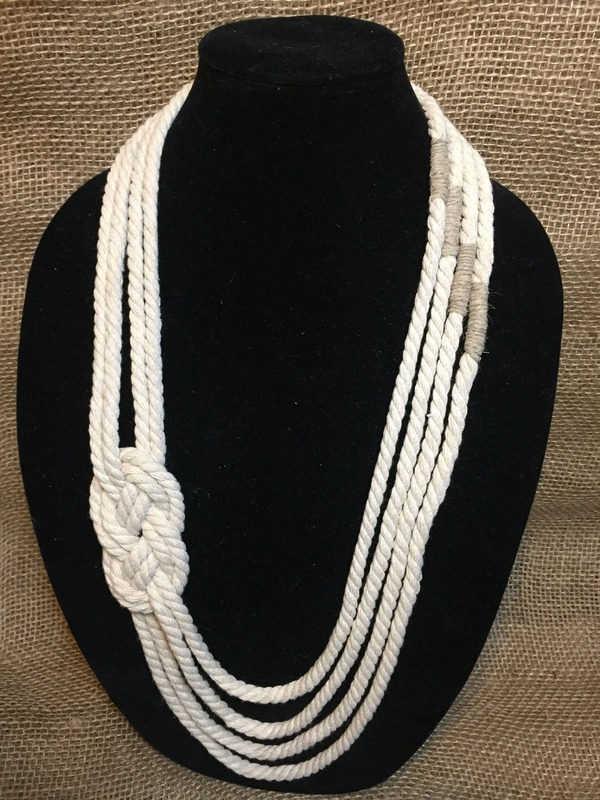 Wear this necklace with prints, solids, dark colors or light colors and it sure to stand out. 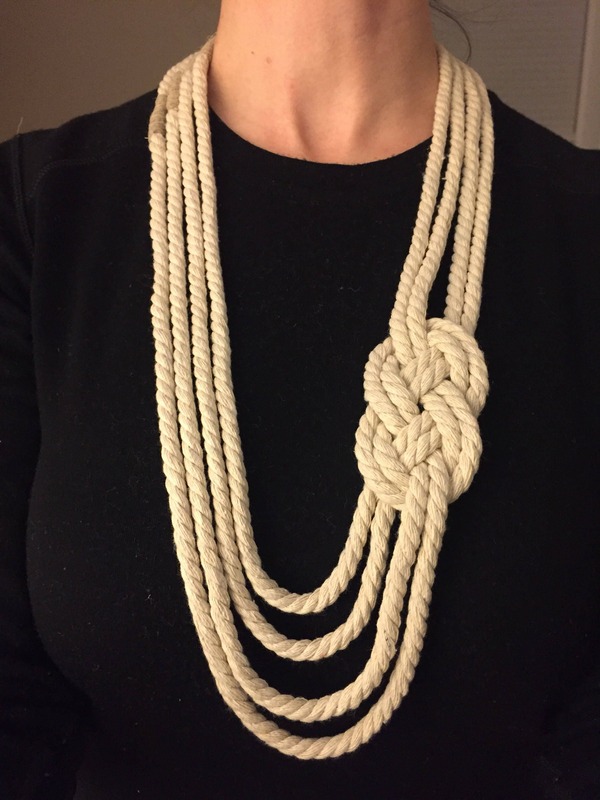 Choose your own contrast color to tie off the ends. 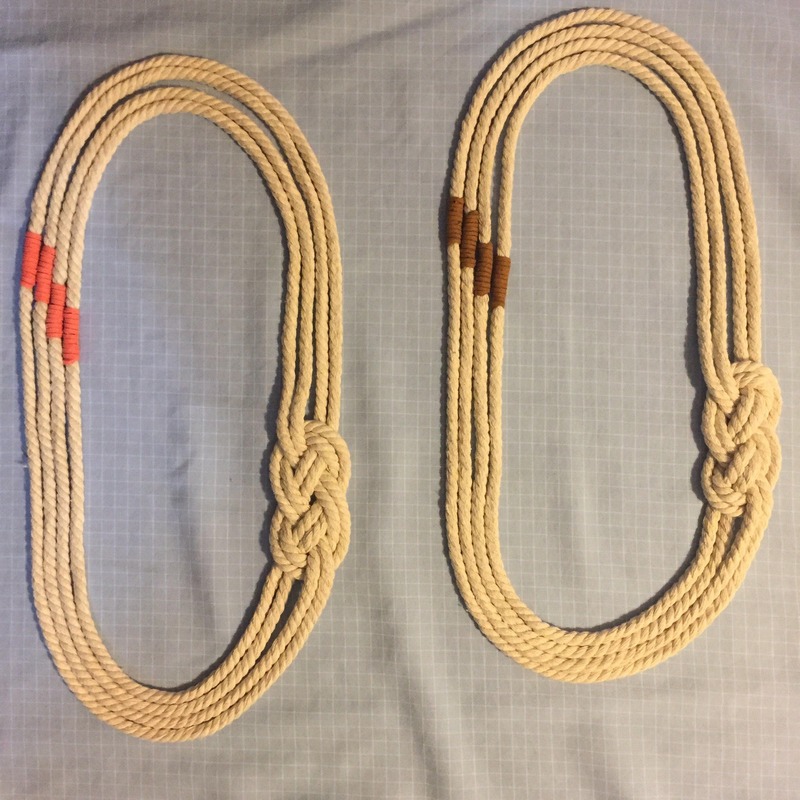 This necklace is approximately 14.75 inches long.